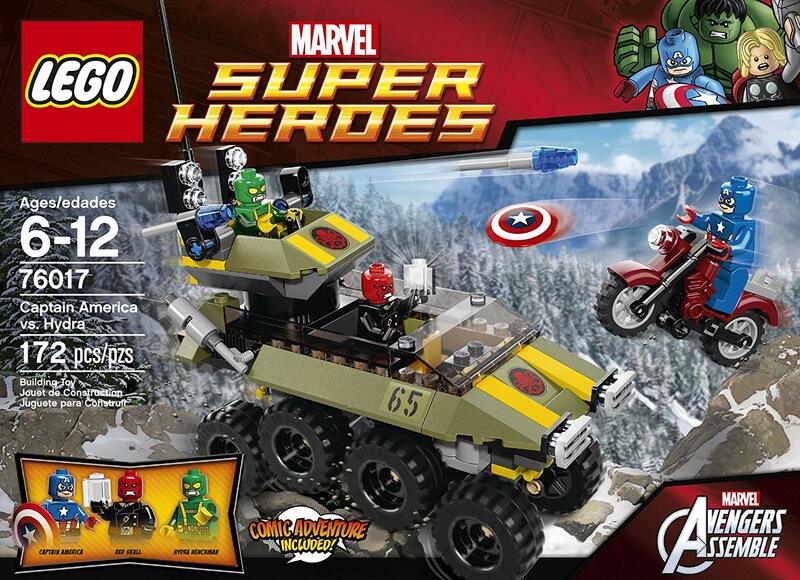 Captain America vs. Hydra is one of the Lego Super Heroes sets released in March 2014. It retails for $19.99 and is available on Amazon. Below is a brief video review and my remarks regarding the set. This is a decent $20 Lego Super Heroes set. The battle vehicle is great for play, but among adult builders and collectors there’s little value to it other than the olive green parts and the minifigs. This is one of the easier sets I’ve built and takes very little time. Judging from trends on other older Super Heroes sets, I expect Amazon will have discount the set by about 25% after several months when fall is here. For a minute I thought this was based off an old GI Joe set. Something about the vehicle design just screams 1980s-era COBRA to me.